Activision announced that they are working with Mercenary Technology to bring Torn Banner Studios’ first-person wargame, Chivalry: Medieval Warfare, on Xbox 360 and PlayStation 3. 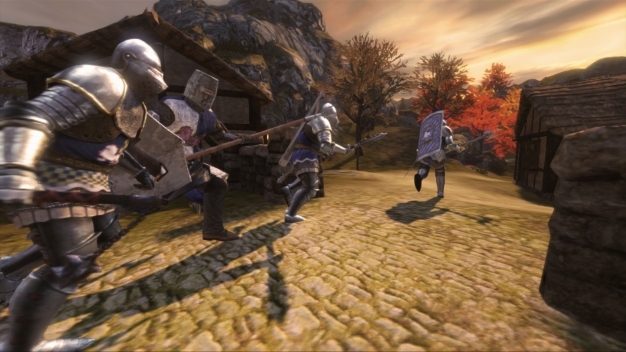 Chivalry is a medieval open field battleground game. Melee combat offers a good balance of tactical fights, all about positioning and timing attacks and blocks, and utter chaos. Ranged combat is fun, although a bit slower paced, and gives a nice break from the hectic sword fights. The four classes bring a satisfying variety to battles, along with the armory of over sixty weapons, which are pretty accurate for the historical period. Chivalry offers most of the familiar game modes from competitive war games, such as Free for All, Team Deathmatch and King of the Hill. I tried playing the game with a XBox360 controller on the PC version, which is not fully optimized for it, and it plays nicely. I would dare say that console gamers can expect a solid multiplayer medieval war game, a nice and fresh change from the many gun shooters out there, for this fall.